Buff'd Cosmetics Mineral Foundations. Over 65 different shades. 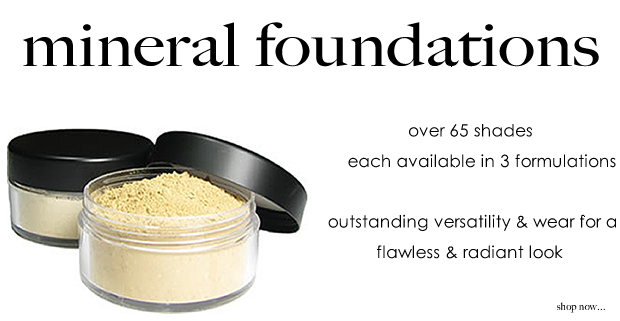 Each shade is available in three outstanding formulations - Original, Light and Concealing. Outstanding versatility and wear, a minimal amount of product will help you achieve a flawless, radiant look while natural UV protection guards your skin. As with all our products, Buff'd Mineral Foundations are free of irritating and toxic ingredients which may be damaging to some skin types.